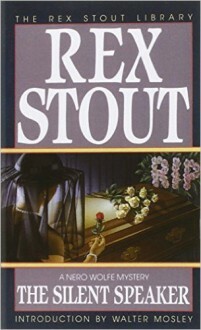 When a powerful government official turns up dead, the great Nero Wolfe takes notice. On the edge of financial ruin, the orchid-loving detective grudgingly accepts the case. Soon another victim is found, a stenographer's tape disappears, and the dead man speaks — after a fashion. As the business world clamors for a solution, Wolfe patiently lays a trap. Wolfe needs money, so he levers an opening into the biggest case of the moment, and proceeds to drive his collective clients batty.A very nice moment with Cramer in this one.